I rarely write short stories. They need a very particular technique, with a startling or witty twist in the tail. Commissioning editors always ask for your series character too – whereas I prefer to attempt something different for variety. NB – these are not by my regular publishers so I don’t have information about whether they are still in print. (commissioned for the Nottingham Bouchercon): Romulus did Remus – but who did Romulus? reprinted in Murder through the Ages, ed Maxim Jakubowski, Headline, 2000. ISBN 0-7472-6617-4. Published by La Masque in France, 2001. The Mysterious Press Anthology: Celebrating 25 years by the Editors of Mysterious Press. ISBN 0-89296-739-0. Included in Great Stories of Crime and Detection, volume IV from the Folio Society. 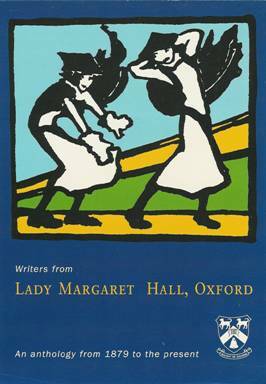 Published in ‘Oxford Originals: writing from Lady Margaret Hall’, an anthology of over 100 members of the college from its founding in 1879 to the present day. ISBN 0-9540929-0-2. Hardback, illustrated. All proceeds will go towards the LMH English Fellowship Campaign. Available direct from the college. 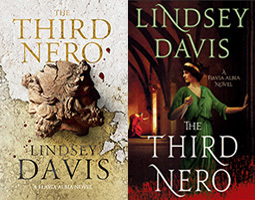 The Spook Who Spoke Again/Vesuvius By Night – these are novellas and have their own pages under Books.